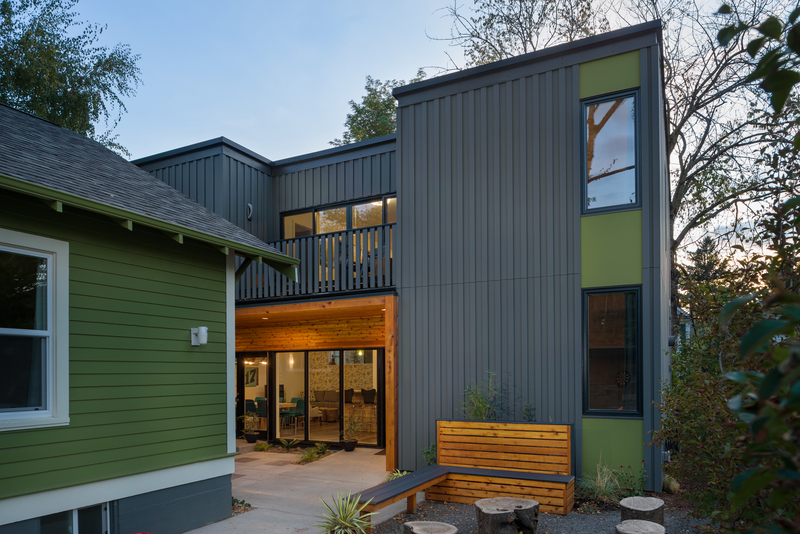 MWA designed this modern home nestled in Portland’s Historic Mississippi Avenue District for Shift Vacation Rentals. 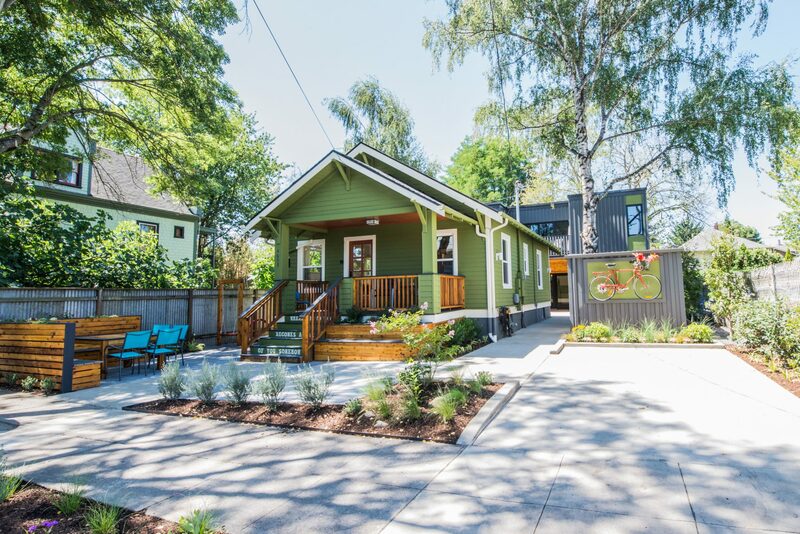 Tucked behind an older craftsman house, the Rear Break House is a new 5-bedroom, 3-bath home that is fully ADA accessible on the ground floor. Strong indoor-outdoor relationships are emphasized in the design. 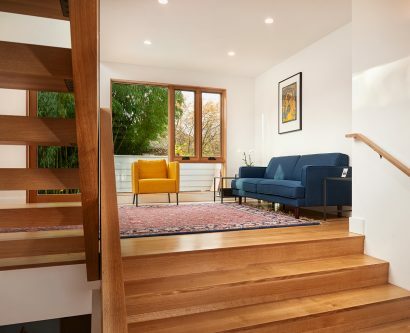 The ground floor living space directly engages the outdoors with a dynamic urban courtyard created between the new and existing houses forming an extension of the living spaces. Upstairs the 4 bedrooms flank a shared lounge that opens onto an upstairs deck. 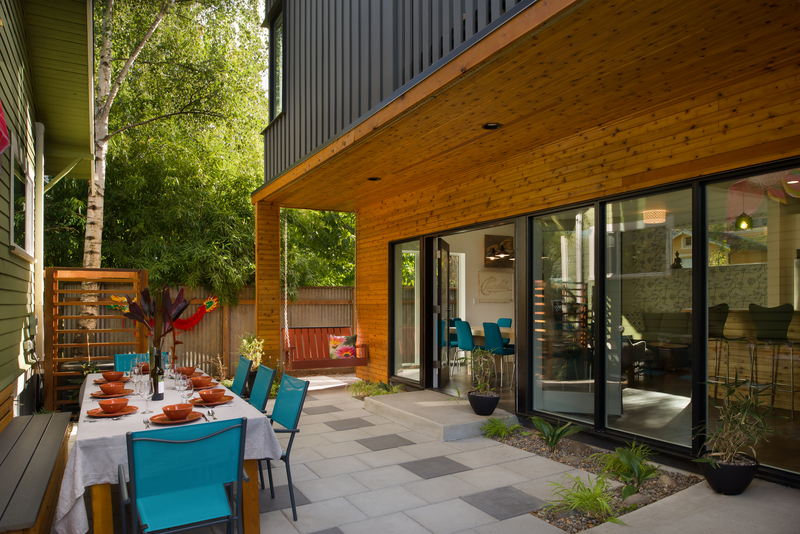 A long cedar covered porch creates a transition space to the intimate courtyard. 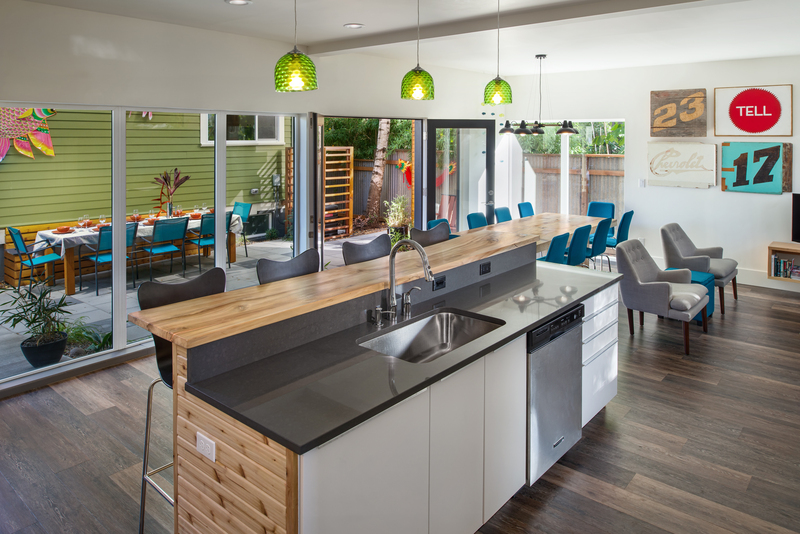 Clean and bright interior spaces feature an open kitchen, dining, and family room. Windows were carefully placed to frame views, maximize daylight and protect privacy. Providing a model for increasing urban density, the Rear Break House demonstrates efficiency in design. 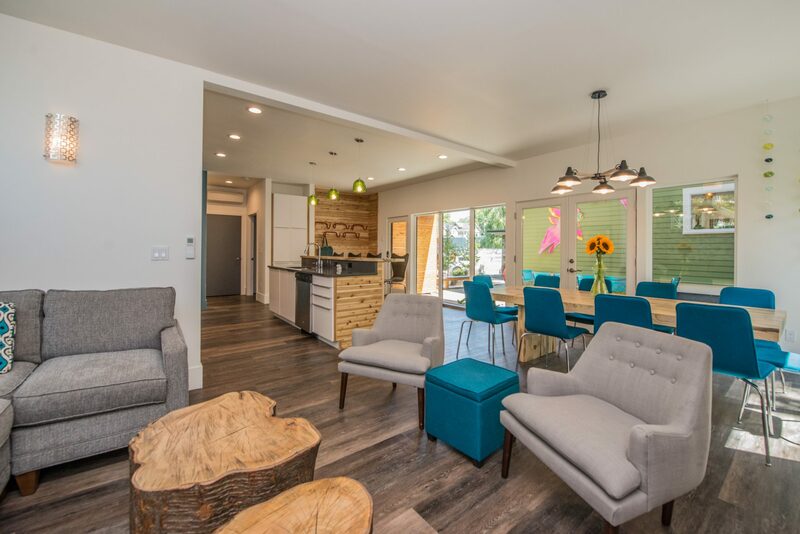 This house was built with a very tight budget and employs a cost efficient siding system that uses affordable materials in an innovative way. 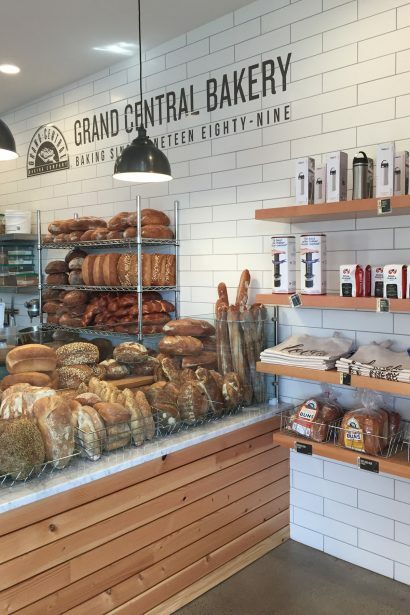 For example, the use of HardiePanel with an oversize batten at a tighter spacing creates a rich surface texture. The house uses a high efficiency heat pump and employs exterior insulation to improve the thermal envelope. In addition, vertical proportions give the building an upright character, and a flat roof minimizes the bulk of the 2,000 sf home.